Djibouti (HAN) April 21, 2014 – Editorial Note from the Editor of Geeska Afrika Online – Interim President Adly Mansour said that the security of the Middle East and North Africa zone are one of Egypt’s national security priorities, and that Egypt was fighting the war on terror on behalf of the Middle East regions interests. The Egyptian and Ethiopian leaders have met last year in Kuwait for the first time to discuss tensions over Ethiopia’s construction of a huge hydropower dam on the river Nile but the meeting ended without any agreement, sources said. “The problem of the Renaissance Dam is that some countries want to have big projects without consultation. This is a dangerous matter as they neglect the interest of other countries like Egypt,” he said. Egyptian interim president Adly Mansour has promised the to the Egyptian People that he will “spare no effort” in his attempts to secure their Great Assets -Nile water. 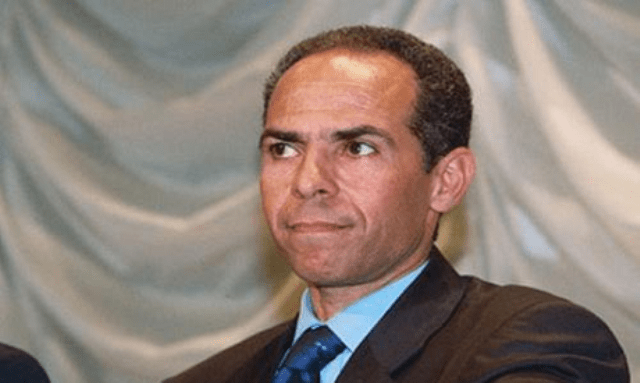 Official Opinion By, Ahmed Sayed El-Naggar chairman of state-owned media organisation Al-Ahram : Ethiopia’s ‘logic’ behind the construction of the Renaissance Dam is shocking, perhaps even more so than the issue of the dam itself. Addis Ababa is either unaware of such a thing as international law, in place to regulate water relations among countries sharing the same watercourse, or has no respect for it to begin with. Its absurd position regarding the Renaissance Dam encourages lawless handling of water relations beyond the rules of justice. Several Ethiopian officials, including the country’s ambassador to Cairo, said the construction of the dam is a sovereign affair and of no other country’s business, arguing that Egypt built the Aswan High Dam without consulting them. These statements do not differentiate between the source country, Ethiopia — whose actions regarding Nile water affect downstream countries — and the last downstream country on the river, Egypt, which is free to do what it wishes with its share of water because it does not affect any other state. Thus, Ethiopia does not have the right to take measures regarding the Nile without consulting other Nile Basin states. Ethiopia’s actions require Egypt to take immediate and firm measures to address the Renaissance Dam through exercising international law and former agreements on water from Ethiopian tributaries that reach the Nile River, most prominently the Blue Nile. It also draws attention to international laws governing global water relations among countries sharing the same watercourse basin. Many phases and stormy exchanges characterised the formulation of the founding principles of the international law regulating joint watercourses between two or more states. They were primarily linked to troubles, or real conflicts, over joint watercourses, although these disputes only emerged after technology advances allowed the construction of huge water reservoirs, dams and the transportation of water from natural basins to waterways in areas of fertile agricultural land suffering the absence of water. In the beginning, it appears that the regulation of water relations among countries sharing international watercourses was more akin to robbery, as will be evidenced later. The 19th century, especially its second half, saw the emergence of real disputes over water distribution triggered by attempts at controlling major shared watercourses. Before that, control over permanent major rivers was near impossible; only small seasonal rivers, some tributaries or minor branches of major rivers were subjected to such control. Prior to the arrival of technology allowing humans to manage the storage and transportation of water from major permanent watercourses, main trans-border rivers naturally flowed downstream from source countries. Water usage was usually far below the river’s renewable annual revenue of water which, for long periods in history, had allowed slow agricultural expansion, usually without causing disputes over water distribution of shared rivers. However, the population explosion that accompanied the industrial revolution — as a result of great leaps in healthcare which resulted in a sharp drop in deaths and higher birth rates — escalated the demand for a rapid agricultural expansion to meet growing needs for food and agricultural raw materials used in industry. Thus was born the necessity to provide water for the large-scale horizontal expansion of agriculture as well as its vertical intensity. The need additionally arose to enhance the use of industrial fertilisers and pesticides while balancing between soil and climate on the one hand, and appropriate crops on the other. Meanwhile, rain-fed land also began to be switched to irrigated farms, since the latter yields far higher production than the former. All of the above begs more water, creating the incentive to build mega irrigation projects to reserve, store or transport water from natural river basins to other regions. These projects are the cause of water distribution disputes for trans-border watercourses, because shifts in demographics and technology result in interference with the natural flow of the river. This “theory”, if it can even be called that, basically states that any country has the right to exercise absolute sovereignty on the segment of any international watercourse that flows through its territories. Thus, if it is a source country then this “theory” gives it the absolute right for complete control over its waters and none to downstream states. Known as the Harmon Doctrine, the “theory” is named after US Attorney General Judson Harmon who, in 1895, authored it to resolve the US-Mexican dispute over the Rio Grande River, which begins in the San Juan Mountains in southwest Colorado, with all its tributaries also beginning in the US. It is 3,040-km long and ends in the Gulf of Mexico. In response to rising demands for water by US farmers to cultivate more land, water from the Rio Grande was diverted to the US states of Colorado and New Mexico in the last decades of the 19th century. Mexican farmers suffered as a consequence and their agricultural land dried up after the Boulder Dam was built in New Mexico, depriving them of water they had previously relied on for farming and drinking. Mexico petitioned to the US, stating that diverting the river violated the interests and rights of Mexicans. The US State Department asked Attorney General Harmon to prepare a response. He wrote: “The fundamental principle of international law is the absolute sovereignty of every state, as against all others, within its own territory.” Harmon argued that control of the water originating in any country is part of the state’s absolute sovereignty over these territories, even if this control results in partial or complete deprivation for the other countries where the water naturally flowed (reference to Dr Ali Ibrahim, Laws of International Rivers and Watercourses in Light of Recent Developments in the Final International Law Committee Project Draft, Dar Al-Nahda Al-Arabiya, Cairo, 1997). The US relied in part on Harmon’s absolute sovereignty theory in resolving its Rio Grande water dispute with Mexico at the turn of the 20th century by signing a treaty in May, 1906. Although the preamble states the desire of the US and Mexico for fair and equitable distribution of the Rio Grande, the treaty requires Mexico to waive all former or future demands on its waters. The US asserts the principle of absolute territorial sovereignty, which means it falls under no obligation towards the downstream state, Mexico. Absolute sovereignty theory in favour of the source country is based on power and the protection of its monopoly of river water. This is a perverse foundation not unlike the laws of the jungle, far from a means of safeguarding rights or justice in the context of international relations and distribution of shared natural resources. Since the 1906 treaty rested on unfair terms, Mexico later demanded its amendment. In February 1944, a new treaty was signed on the basis that the two countries have rights to Rio Grande waters. Nonetheless, since the US pledged in the treaty to give Mexico an annual water quota at no cost, it made it appear as though the US was granting Mexico the water rather than recognising the latter’s rights to it. Also in the 1940s, Turkey diverted the course of the Queiq River — which begins there and irrigates the land in Syria’s Aleppo region, whose inhabitants also relied on the river for drinking — damaging large areas of Syrian farmland. In the 1980s, Turkey once again triggered a similar crisis with Syria and Iraq over the waters of the Euphrates River, based on Harmon’s doctrine, even if it did not officially admit to that. Turkey unilaterally decided to obtain, at the source, what it determined to be its water rights. It paid no consideration to Iraq and Syria’s historical claims to the river for human, livestock and agricultural life. While the water going to Iraq did indeed exceed the country’s needs, the problem was not that Turkey wanted a share of the river water, but rather the unilateral action taken by Ankara. The Ataturk Dam and chain of Anatolia dams constructed by Turkey at the source and tributaries of the Euphrates are used to store and transfer water to flat lands beyond the river basin for agriculture as well as to generate electricity. Although Turkey has a legitimate right to a quota of Euphrates water, especially since it is wasted in the marshes at Shatt Al-Arab and eventually washes up into the Arabian Gulf, negotiations and understandings with Syria and Iraq to determine Turkey’s share should have preceded the move so as to avoid harming the basic needs of the two other countries. There are also examples of failed attempts to evoke absolute sovereignty by some countries to resolve disputes over shared international watercourses, such as the Ganges River between India and Bangladesh which ended in a settlement based on joint use of the water. Absolute sovereignty or Harmon Doctrine is internationally unacceptable from a theoretical perspective, especially since it is not based on fair principles that are intellectually, conscientiously or morally acceptable. Yet, this does not prevent some countries from applying it. While this perverse principle is unacceptable to the world, Ethiopia’s stance is rooted in it when it behaves as though no other countries existed along the river. And although it maintains it will not touch Egypt’s and Sudan’s quotas, Ethiopia refuses to sign an agreement confirming this commitment, which reduces it to mere publicity. The complete reverse of Harmon’s Doctrine is the theory stating that all countries sharing a river basin possess the right to equal water quotas without interference or pollution. In other words, river water should follow historical flow patterns. Since this theory serves the interests of downstream states, these countries naturally champion it during water distribution negotiations with source countries. This theory, however, is unjust to source and upstream countries because it does not allow them to use river water for agricultural or industrial purposes, which is both unreasonable and unacceptable. The only part of this theory that should be adopted is that upstream countries should not pollute the water. Water sharing should be equitable and take into account historical quotas that are actually utilised and upon which rely the lives of people, livestock and agriculture. It should also consider the various needs of each river basin country, which this unjust theory does not. There are, however, some special cases where the river ends in an enclosed lake around which a community is founded on fishing and shore farming. In this case, the lives of the people, crops and livestock would be threatened by any reduction in water flow, which in this case would require a special review of the share of the downstream country. The absolute river rights theory, or absolute regional integration, actually becomes an extreme in the face of another, namely the “theory” of absolute sovereignty, or Harmon Doctrine, previously discussed. The theory of fair distribution of water, also known as limited territorial sovereignty, is based on reconciling the water interests of river basin countries in a fair manner, taking into consideration the needs and historical shares of each state when deciding water quotas. Part of this theory states that the river cannot be diverted if this seriously violates the water rights of communities or countries across or alongside which the river flows – meaning source and upstream countries have no right to divert the watercourse because of the harm inflicted on downstream states. Meanwhile, any action by the latter does not affect the former. Accordingly, this theory, advocated by prominent Swiss jurist George Sauser-Hall, allows downstream states broader freedoms in river water and course within the limitations of their water quotas. This more realistic, humane and moral theory form the basis of modern international law on rivers and shared international watercourses. When considering irrigation projects, Egypt was always focused on fair water distribution, taking into account the historical use, rather than historical flow, of river water and its impact on the lives of people, crops and livestock and resulting agricultural, industrial and service projects. Accordingly, when Egypt carried out joint water ventures with other Nile basin countries it invariably upheld the principle of fair distribution of revenue from these projects, although it often unilaterally forked all or most of their costs. For example, Egypt was entirely responsible for the cost of the High Dam construction, although 60 percent of the saved water went to Sudan. Also, and although it did not benefit from it at all, Egypt footed the bill for the Owen Dam in Uganda because countries along Lake Victoria refused to reserve water there for Egypt since any rise in lake water levels would harm them. Egypt had reservations about the Framework Convention on Non-Navigational Uses of International Watercourses endorsed by the UN in 1997 because it allowed the amendment of existing agreements and the drafting of new ones on the distribution of international watercourses. Ethiopia, as a source country, has no right to unilaterally and deliberately impact life in Egypt. On 15 May 1902, Great Britain, which occupied Egypt at the time, signed an agreement with Ethiopia’s King Menelik II who pledged Ethiopia would not build or allow the construction of works on the Blue Nile, Sobat River or Lake Tana that would restrict water flow to Egypt and Sudan without first reaching an agreement with the governments of Britain and Egypt. France, Italy and Britain also signed an agreement in London on Abyssinia (Ethiopia) in which the fourth article states the three countries agreed to work together to protect the interests of Great Britain and Egypt in the Nile basin, especially guaranteeing that water from the Blue Nile and its tributaries reach Egypt. Time is racing along without an agreement being reached with Ethiopia about the Renaissance Dam, safe practices, the size of its reservoir and its filling time. Taking advantage of the political situation in Egypt, Ethiopia is wasting time in endlessly evasive negotiations. Egypt has no option but immediately take the necessary steps to stop construction on the dam until an agreement is reached between Egypt, Sudan and Ethiopia. It is critical for Egypt to prepare a thorough portfolio about the dam, including all former agreements with Ethiopia, and Egypt’s actual use of every drop of its Nile water quota on which the lives of people, crops and livestock entirely rely. Cairo should present its case to all relevant regional and international agencies, or others who could galvanise a global or regional position on the matter. Egypt must also address the countries and companies participating in the construction of the dam, to convince them to stop work until an agreement is reached among Blue Nile countries. In this long and seemingly well thought out and articulate piece, the recurring theme appears to be ” historical use”, and the acceptance of it as being central to a “Just” and equitable solution, in Egypt’s view. However, it somehow misses the point that the ” historic use” of the Nile water that is to be considered paramount in reaching a “solution” is at or near 100%! in favor of Egypt. Leaving the source or upstream riparian states nothing to share in “equity”, with a growing population and greater demand for resources. Ethiopia’s point is, I think, 1/ the GRD is a hydroelectric dam which by its very nature is not water consuming. 2/ If Egypt seeks a signed guarantee of equitable share of the Nile, it will have to be done within a frame work of common and acceptable international law, that takes into account all of the stakeholders in the basin. The Nile Basin Agreement is such a forum. Claiming most all of the water as a ” historic” right, and professing to stand for equity for the rest is a bit of an oxymoron, and tests Egypt’s sincerity. As for Sudan, the 1959 agreement with Egypt, given the political history, events and reality at the time, could hardly be considered equitable. It is no wonder they enthusiastically support the GRD and Ethiopia, as it may give the word equity some meaning. Sudan is not a vassal state of Egypt. Although most Egyptians may believe it to be so. It, like the rest of the basin countries has to grapple with its own growing, demanding and restless generation’s quest for betterment. ; And is thus charting its own course into the future. It certainly can and has spoken for itself. Needless to say, Egypt, more than most has its future tied to this ancient river, and has indeed a case to make for its needs. Those of its citizens in positions of power and influence, both intellectually and otherwise need to do a better and credible job than the mare publicity campaign, or threats of war and conflict here and there, to secure its long term interest in the waters of the Nile. That requires an honest and genuine approach towards the nations involved and genuine attempt at equity. Political gamesmanship in international circles can hardly provide solace to the affected nations and their population, Egypt’s included. Its people deserve better. We, Ethiopians Need Equitable Use of the Water Resource! Egypt seems in state of denial. Ethiopia has been begging Egypt for the last thirteen years for equitable share of the water resources. My advise to the Egyptians is to stop backstabbing Ethiopia and open up for negotiation for a win-win solution . IF WE TALK IN A CLEAR WAY, OUR SISTERLY COUNTRY EGYPT AND ITS POLITICIANS ARE TRYING TO MAKE A HISTORICAL MISTAKE WHICH WILL HURT THEIR PEOPLE AND THEIR COUNTRY. THE AGREEMENTS YOU ARE TALKING ABOUT ARE DONE BY YOUR COLONIAL LORDS INSTEAD OF YOU BECAUSE YOUR WERE NOT ABLE TO DO SO. AND ITS BETTER TO PUT THEM IN YOUR WONDERFUL MUSIEMS TO TELL FOR YOUR CHILDREN THAT YOU WERE THE ONLY PEOPLE TO USE THE NILE WATER STILLING FROM OTHER AFRICANS. BUT NOW THE TIME IS FOR US /THE AFRICAN PEOPLE/ NOT FOR YOU OR FOR THE COLONIALISTS. THE DAM CASE IS OUR SOVERIGNE CASE BEING CONSTRUCTED IN OUR COUNTRY. THIS IS THE FIRST STEP NOT THE LAST IF YOU CONTINUE YOUR AGRESSIVE MANNER. BUT IF YOU CHANGE YOUR APPROACH, WE ASSURE THAT NILE /ABAY/ WILL FLOW FOREVER. This piece only shows your interst .It is not logical/persuasive to the reader.let us leave valuable heritage not war to the next generation.you are also arguing on the side of Egypt by rejecting others right like egyptian politicians are doing .ofcourse it is stated in the bigining of your piece that,,Interim President Adly Mansour said that ‘the security of the Middle East and North Africa zone are one of Egypt’s national security priorities, and that Egypt was fighting the war on terror on behalf of the Middle East regions interests.’,,when do egyptian leaders give priority to Africa is the question that they must answer.They dont want to think thier role during scramble of Africa by european powers.They want to repeat it again.When do they understand about common ground .I am afraid that they do not get what war of terror is.Rather than distortion egypt must try to follow peaseful solution of ethiopia and others.No one is ready to argue with the person who wants to argue about the color of water. An independent water scholar said that Egypt fought for the International Panel of Experts’ report to be kept secret. The remark was made by Dr Ana Cascão, a researcher at the Stockholm International Water Institute and an expert at hydropolitics in the Nile basin, in article published today on The Guardian regarding king the Grand Ethiopian Renaissance Dam (GERD). “the study is largely optimistic about the GERD’s impacts – “and that’s why Egypt was not happy for it to be released”…..
“in terms of dam safety and even in terms of water going downstream – the report is quite positive”. Dr Ana Cascão noted further that Egypt’s interests may actually be aligned with Ethiopia’s, since Ethiopia will ultimately want to see as much water flow through the GERD as possible in order to maximise hydroelectric power. It is Sudan’s intentions that may instead cause the greatest long-term concern for Egypt. The GERD would allow Sudan to siphon off more downstream water for farm irrigation, potentially allowing the republic to take more water from the Nile than allowed by an agreement signed with Egypt in 1959. Egypt stand is not only the opponent African development but also the Egyptian officials pave the way for world terrorist activities in terms of transiting, training facilities specially in the millinery techniques we African knows the Egyptian conspiracy there for you Egyptian stop devilish activities . Here is one important thing that Egyptian have to get clear. Most of them are saying that there is an International rule about flow of water. Here is my intake about that it. Let say there is a rule, which says up stream countries can’t use river water that goes down stream. It reminds me one rule which Martin Luther King fought “colored should be sited with white”. As per the Egyptian say this role that Martin fought should have been respected irrespective of its irrationality. For my brother in Egypt , I would like to give them a very important advise don’t push the black Africans, they are very tired of being pushed in this plant earth and finally please don’t try to justify unjust, because no one will accept no matter how best you sugar coded it. I appreciate the effort to make the argument based on evidence and just to share the Nile river rather than just a mere opposition. However I also believe that the evidence should have been complete to come up a better conclusion. I am not clear which category Egypt Belongs to. In my view the reviewer is confused. It seems he favors the fair distribution of water but returns back fair in terms of historic rights, which their politicians are reiterating every time. What is historic right, colonialism, and then neocolonialism or what? 85% utilization of the river for Egypt and the rest for Sudan leaving the upper riparian countries no place for any share, tell me and any other Ethiopian what Historic Right is all about? on the other hand, the reviewer mentions in his introduction point about how it is not Ethiopians Sovereign right to sue Nile mentioning Harmon’s Doctrine. Indeed that was not Ethiopians Intention and will not be. While the Nile basin initiative was launched Why did the Egyptian politicians did resist, do you believe it is for fair distribution, or is it economical power or Military power or Neocolonialism or what you call historic power. I would say your politicians and Most Egyptians believe on absolute river rights top basin countries like Egypt, that will not work in the 21st century, as the reviewer clearly said. Indeed the reviewer also was trying to argue that Egypt has the right to build anything on Nile as it is a Nile basin country to which will not harm any other downstream country. Is that what the 21st philosophy and approach has to be for a fair utilization of Resources. That is the authors view and Egyptians prejudice and African leaders need really to come up with a better ideology and discussion which can make them and their community benefit from a fair distribution of Water resource on a predetermined criteria. However what you put as fair is fair only for you not for the Others. Indeed I have never found any international law which says This is fair and that is not fair. Thank you for your views but please develop your evidences. And always be fair to judge, The scientific world has to contribute its best in showing the reality not what the media and the politicians say with no Evidence and indeed in an intentions of diverting internal political agenda!! Egyptian leaders should stop being naive ,selfish & racist and look at the brighter future ,a future that all Nile riparian countries and upstream countries can have a peaceful coexistance ,instead of it(Egypt) playing with fire…….